The Relay de la Source was once a farm of character located in the heart of 20 hectares. The estate now 1.17 hectares is arranged around a typical group of buildings, a testimony to its rural heritage. The construction of the building shows the architectural features of the barns of the Vendée : a high roofed nave of 6m flanked by 2 lower spaces. The nave has long been used as a sheep barn : outside, on the window side of the drawing-room, you can still see the hinges of the old barn doors. 3 old chicken nest boxes have been preserved as decorative niches. This is part of the oldest building on the farm, which dates from approximately 1740. 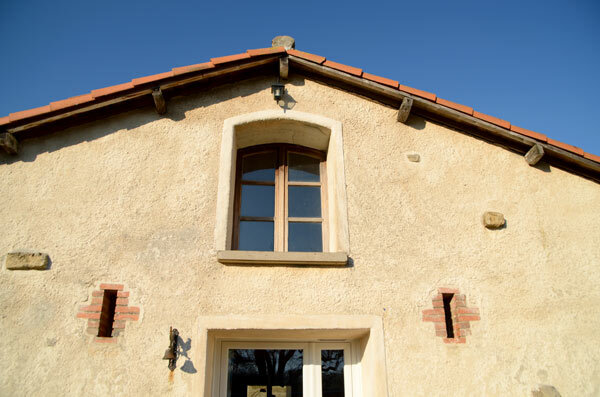 Originally, the residence of the farmer, it overlooks the courtyard, while the cellar opens onto the countryside. This configuration remains the same with the cellar becoming the gîte maintaining the charm of its origins, with a sunken terrace surrounded by stone walls. To the north of the farmyard is main barn, now transformed into a garage, saddle room and stable. 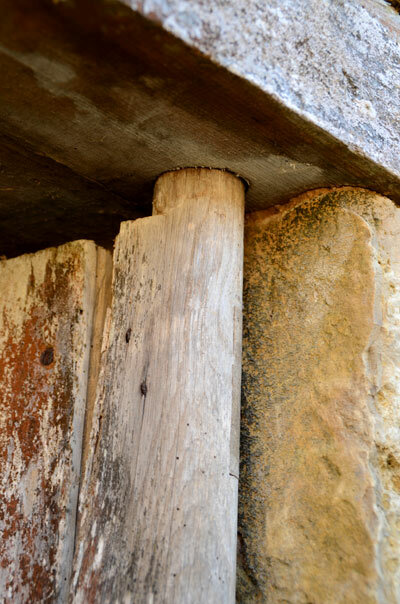 The 3 m high wooden lintel gives a clue to the position of the original entrance. Access to the covered swimming pool past the old pig sties: this building is typical of the Vendée bocage.It has low roofs, on both sides. The doors are unique, in that their wooden hinges are monoxyl, being part of the same piece of wood as the door.To the right of the roofs, a wall closes the court yard, it appears to be the remains of a more important building : you can still see the positions of the lintels and the purlins of roof. We do not know any more at the moment. The private part consists of a small open hangar overlooking a courtyard. At the back of the courtyard, our house was formerly a forge. The lounge is voluminous with high ceilings and one can easily imagine the position of the bellows. Above the kitchen, the space was previously used as a bedroom for farm boys.